Applications for the Summer 2019 Discourse Analysis Workshop are closed. We plan to offer a Discourse Analysis Workshop again in Summer 2021. Please refer to www.canil.ca/grammarWorkshop for Summer 2020 Grammar Workshop information. 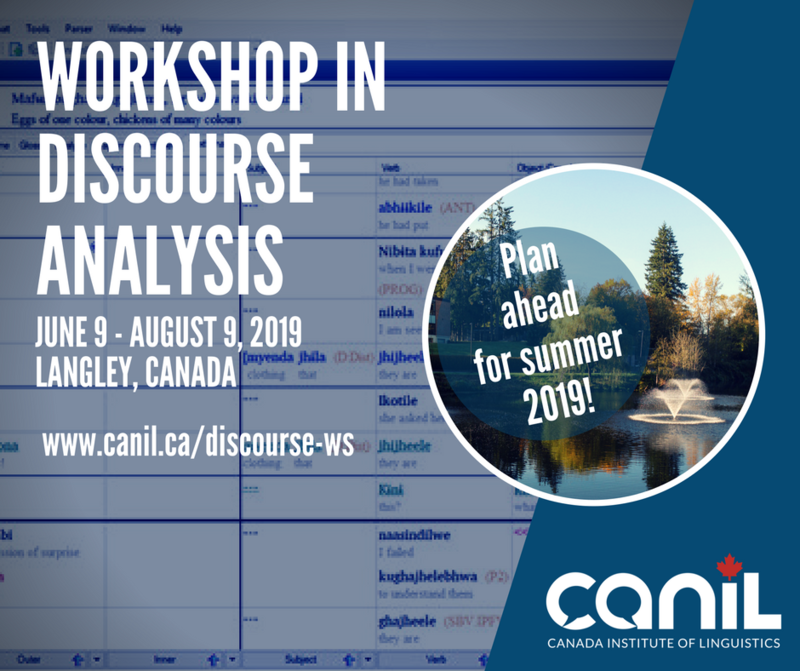 In the summer of 2019, the Canada Institute of Linguistics (CanIL) at Trinity Western University, in Langley, British Columbia plans to host a Workshop in Discourse Analysis led by Dr. Steve Nicolle. We recommend that you plan on arriving June 8 (Sat) and depart on August 10 (Sat). Orientation is on June 9 (Sun). Classes begin June 10 (Mon) and end August 9 (Fri). to equip workshop participants to assist others to translate narrative, hortatory and expository material into their own languages accurately, naturally and clearly. Plenary sessions: 1½ hours a day four days a week, involving a combination of presentations by the workshop staff, group analysis of biblical passages and texts provided by the workshop participants, and presentations by the workshop participants of the work they are doing. Advising sessions: Each individual or team who is participating in the workshop will be assigned an advisor early on. The individual/team will meet with their advisor for up to one additional hour each day. The rest of the work day will involve individual research and writing. During the first week, training will be provided in how to create text charts using SIL’s FieldWorks Language Explorer (FLEx) software. The following four weeks will concentrate on narrative discourse (3 weeks of classes and 1 week for detailed analysis and writing up). The final four weeks will concentrate on hortatory and expository discourse (3 weeks of classes and 1 week for detailed analysis and writing up). Note that the Workshop in Discourse Analysis is not a for-credit course and thus cannot be applied toward a degree. However, the first five weeks of the workshop overlap with the CanIL LING 491 (undergraduate) and LING 691 (graduate) Discourse Analysis course. If you would like to take LING 491/691 for university audit or university credit, please contact CanIL Admissions for more information. Where possible, it is hoped to pair workshop participants with CanIL students taking the LING 491/691 course. This pairing is designed to be mutually beneficial: the workshop participants will mentor students and orient them to the languages being studied; each student will chart at least one text and write a detailed account of two narrative discourse features of the language they have been introduced to. Workshop in Discourse Analysis: $200. Accommodation (total cost for 9 weeks, food not included). Refer to www.canil.ca/summer/summer-housing and www.canil.ca/summer/summer-cost-calculator for more information. These rates are subject to change and represent the rates for 2018. 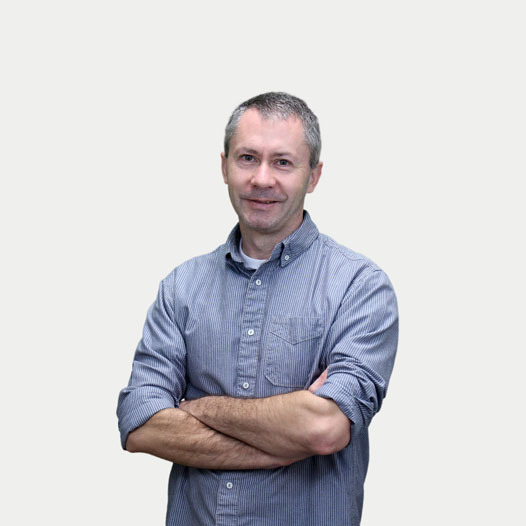 Dr Steve Nicolle has conducted training in discourse analysis of spoken and signed languages in various African countries, India and Canada. He is currently Associate Professor of Linguistics at CanIL and Director of the Master of Arts in Linguistics and Translation program at ACTS Seminaries. Before joining CanIL, Steve worked as translation adviser with the Digo Language and Literacy Project in Kenya, linguistics consultant and translation consultant with SIL, linguistics coordinator for SIL Africa Area, and head of the Department of Language, Linguistics and Translation at Africa International University (formerly Nairobi Evangelical Graduate School of Theology).